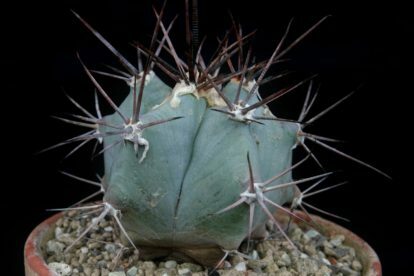 Gymnocalycium anisitsii does not need hot summer sun to grow well. Places with morning or evening sun are welcome. During summer it can be placed part shaded outside. 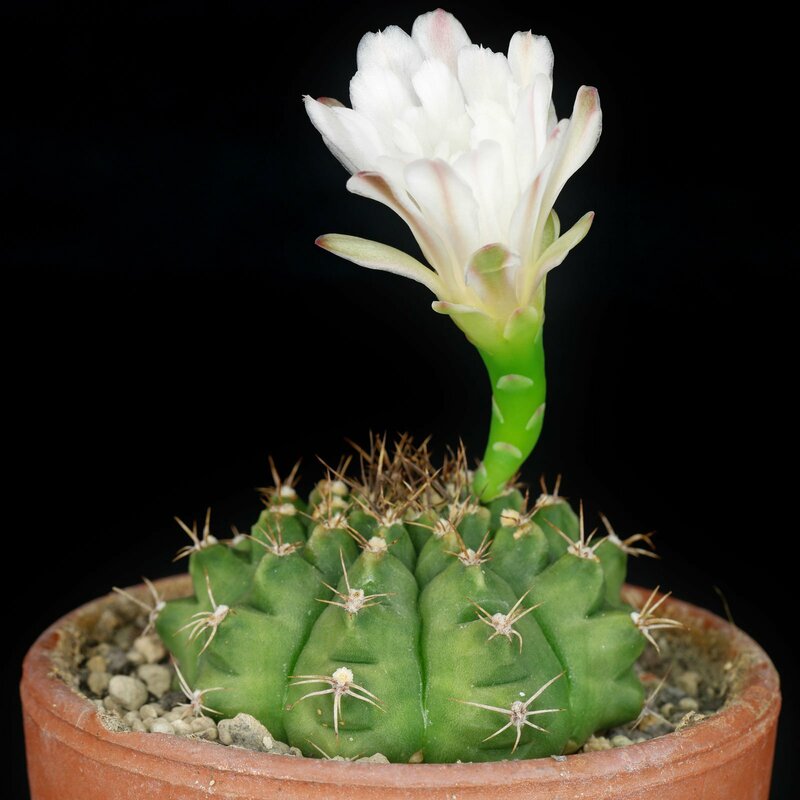 In its natural habitat this cactus can be found between shrubs which shade it. 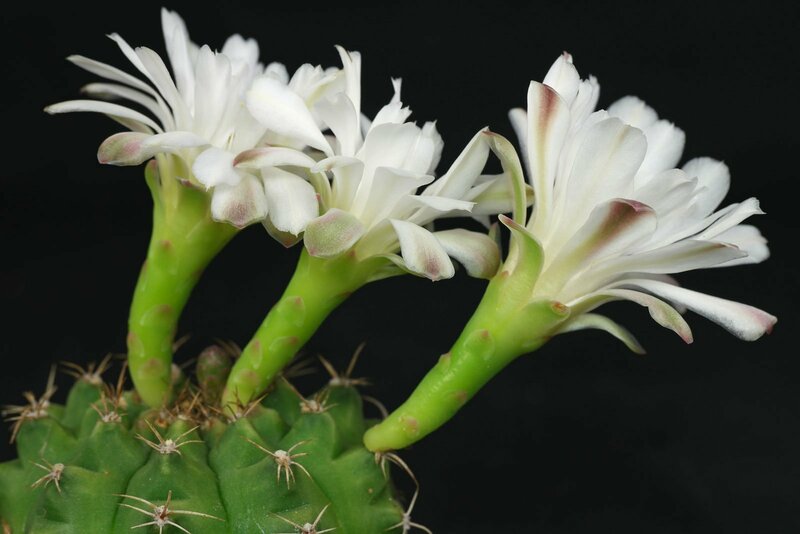 Cacti mixes with compost and sand can be used. For example, 2 parts potting soil and 1 to 2 parts sand or with 1 part sand and 1 part clay granules. 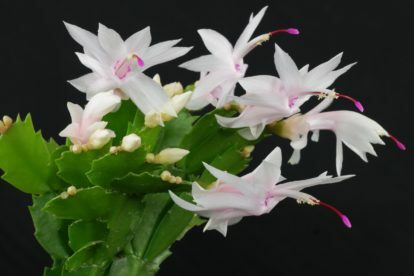 For showing its beautiful white or pink flowers the Chin Cactus needs a temperate winter rest period at about 10 °C (50 °F). Let the soil dry or nearly dry between the waterings. Water sparingly during winter. 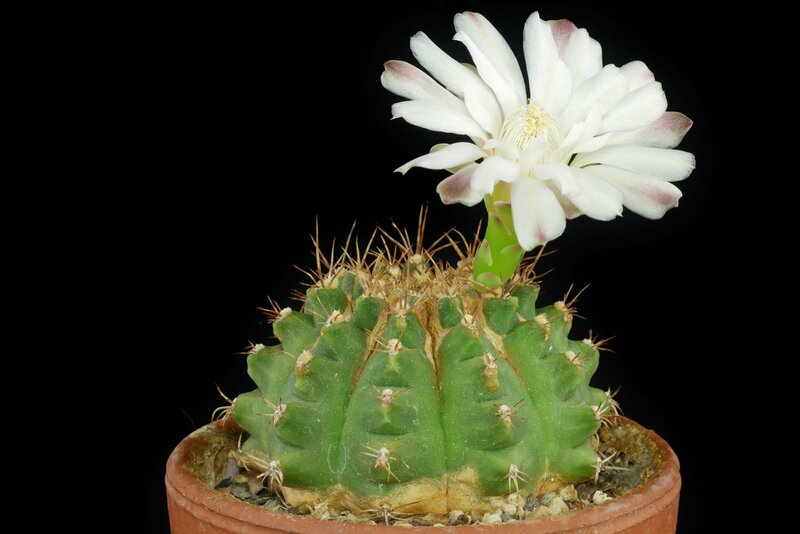 Every 4th to 8th week if Gymnocalycium anisitsii is in active growth with cacti liquid fertilizer or a standard liquid fertilizer at half strength. New bought or recently repotted plants don’t need to be fed for the first year. 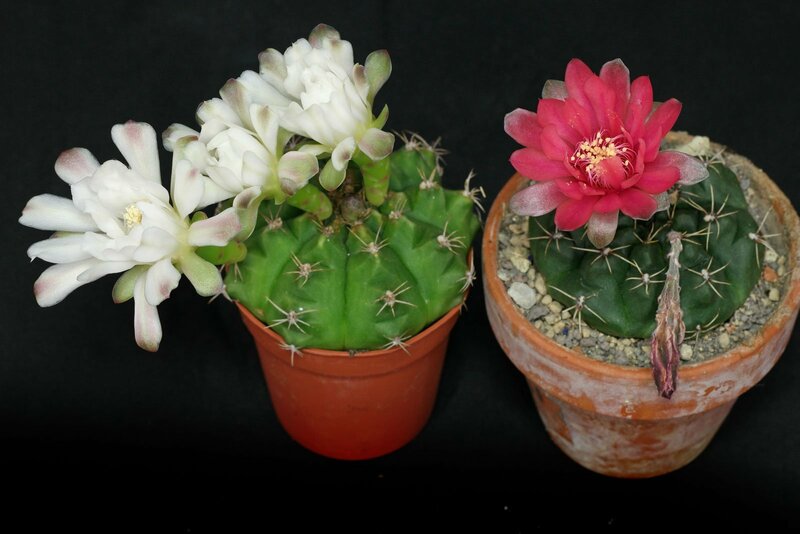 Gymnocalycium anisitsii does best with a winter rest period 10 to 15 °C (50 to 59 °F). Minimum temperature is 5 °C (41 °F). 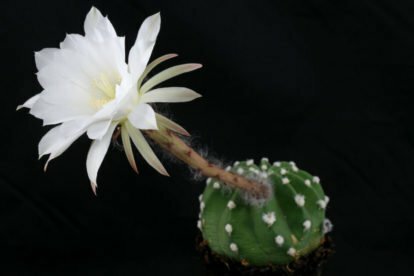 Gymnocalycium anisitsii with G. baldianum.